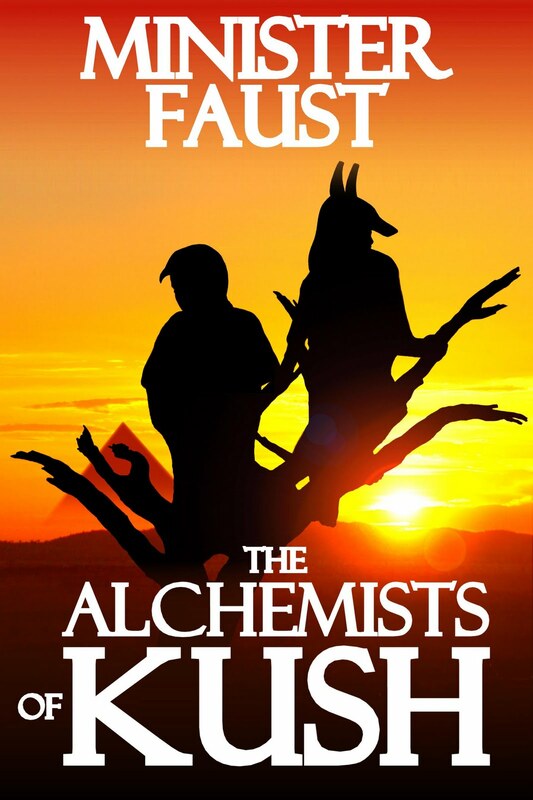 Critically acclaimed author Minister Faust returns with his fourth novel, The Alchemists of Kush. Set in both modern-day Edmonton and ancient Sudan, this speculative fiction novel follows the path of two boys who must harness ancient knowledge in order to combat a great evil. Raphael “Rap” Deng Garang was just your average seventeen year-old war refugee hanging on the streets of Edmonton, Canada. Half-Sudanese and half-Somali, he had one foot in both worlds but truly belonged in neither, especially in the close-knit Somali community in which he lived with his mother. A joy ride in a stolen car with a good friend led Rap down a path of self-knowledge that transformed him into Supreme Raptor, the “conscious rap” sensation. Hru was a child soldier in ancient Sudan, helping the other children of his village survive when raiders destroyed their village. Forced to rely on rudimentary fighting skills, Hru and the other child soliders manage to eke out an existence in the forest until they arrived at the ocean, in which the Great Devourer of Souls resided. Hru becomes the sole survivor of an attack by the Devourer, which leads him on a quest to find his mother and claim a birthright he didn’t know he had—as Horus, the son of Osiris. Faust does a riveting job in alternating between modern-day Canada and ancient Sudan by way of Kush; the book is divided into four parts, and each part has two divisions: The Book of Then (which takes place in ancient times) and the Book of Now (which takes place in modern-day Edmonton. The title of each of the four parts is key to the occurrences in that particular part, and takes on a greater sense of importance as the story progresses. As readers follow Rap’s path from an errant teenage refugee to a young community leader, they are treated to a parallel course in history in the guise of the Egyptian myth of Isis and Osiris. Indeed, the final portion of the book is the text of the Book of the Golden Falcon, which is the seminal text from which Rap and his cohorts are taught to elevate and expand themselves. The Alchemists of Kush is heavy on allegory, and readers would do well to take this into account while delving into this novel. Faust has managed to make history cool, and the Book of the Golden Falcon gives a lesson not commonly found in neither public nor private educational institutions in any country. The underlying message of the novel is one of self-improvement, self-sufficiency, and elevating others to their best selves; while this message is imprinted upon the teenagers in the novel, it can be applied by all ages. Even better, you can read all of the Books of Then or the Books of Now in order, for a different yet equally entertaining reading experience which puts an entirely different spin on the novel. 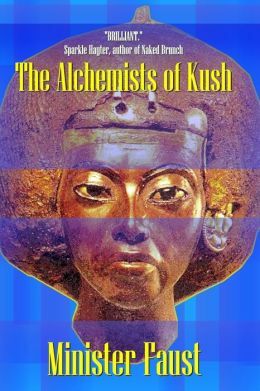 Fans of Tananarive Due, Steven Barnes, and Charles Saunders would enjoy The Alchemists of Kush.